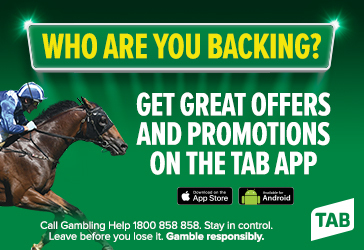 Welcome to the Port Lincoln Racing Club website. We are located on the Eyre Peninsula of South Australia; known for seafood, surf, breathtaking scenery and a love of thoroughbred racing. The highlight of the clubs racing calendar is the Port Lincoln Cup which is held in early March annually. Twilight racing across the Summer months is another highlight on our racing calendar this season and on Fridays, November 16th & November 30th along with Live Music and Happy Hours get your business or trade on course for FREE Season Membership giveaways... what an exciting way to spend a Friday evening. The 2018/19 race season also welcomes the New Year's Eve meeting back on the calendar with a Twilight Meet on Monday 31/12/18, our New Year's Eve Meet is also a Family Day with Bouncy Castle & Face Painting... what a great way to see out the old year and and welcome in the new! Port Lincoln Racing Club has chosen to make the 2018/2019 Race Season a family focus with multiple family days scheduled across the season. There are a couple of exciting days to highlight for the kids, Sunday January 13th is our Princesses & Super Heros Family Day, so get the kids dressed up and take advantage of the great activities and fun provided throughout the day for ages 10 and under whilst enjoying all the fun and atmosphere of live racing. Sunday February 17th is our Children's Fashion at the Races competition with fabulous prizes to be won. Check the events page, Facebook or call 86823851 for details. As usual this season we are proudly supporting Ronald McDonald House and the wonderful work that they do by donating $1 from every race book sold, $1 for every single gate entry on 2019 Cup Day and all of our recycling dollars from cans and bottles collected over the whole race season at race days and any functions. During our four years of association Port Lincoln Racing Club have donated over $32,500 to Ronald McDonald House, Adelaide.with a doation of $10,000 raised last season! 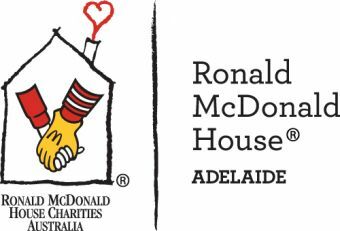 Ronald McDonald House, Adelaide is the official charity recipient for the Port Lincoln Racing Club. Port Lincoln is situated upon Boston Bay, one of the world's largest protected natural harbors of astounding proportions; an area three times the size of Sydney Harbour. It is home to the world's largest fishing fleet, concentrating on tuna and other marine aquaculture as the city's primary industry. Due to the insulating effect of the surrounding ocean waters, Port Lincoln experiences a delightful Mediterranean climate. It is the gateway to the Eyre Peninsula and all it has to offer the adventurous visitor, from beautiful beaches, surf and seafood. The city of Port Lincoln has a population of 15,000 and is situated 655 kilometres north of Adelaide or 250 kilometres by air, with a flight time of approximatley 45 minutes. The area boasts some of the most breathtaking scenery in Australia.